My name is Hayley and I live in Winchester with my Husband, step-daughter and cat. Two years ago I moved into my husband's house, which was more like a man cave than a home. Thus began my up-cycling love affair, which has grown from basic envelope cushion covers to redesigning welsh dressers and fire places. 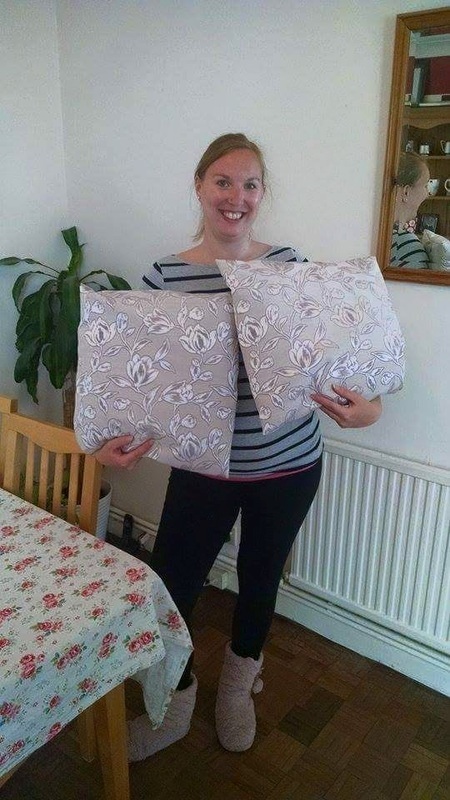 Pictured are my first ever envelope cushion covers. I am hoping to grow my hobby, and help friends and family to up-cycle their furniture.